Thank you for visiting our page. My name is Matylda Nowak I am the founder of Kings Accommodation, author of the Brixton Property Blog and in-demand industry trainer. I am passionate about properties, most likely because I understand this industry from every angle, I was a tenant, landlord, vendor, buyer, investor. Kings Accommodation was firstly established to provide accommodation for King’s College Hospital Staff only, but with time and constant recommendation from our clients our database has grown, and we have become a successful and most recommended agents not only within NHS clientele but also within the Brixton community and surrounding areas. Kings Accommodation is part of a NHS discount scheme which is primarily aimed at providing discounts for Doctors, Nurses, Admin Staff and everyone else working directly for the NHS. We are regulated members of National Approved Letting Scheme, The Property Ombudsman, Safe Agents, registered under the Data Protection Act and covered by a Client Money Protection Scheme. Our involvement in contribution to help create a safer community is highly appreciated by the Metropolitan Police and many other organisations, we support charities and work closely to support child safety education. We are here to help you! Please pay us a visit in our homely office whether you are looking to find out more about our services or just have a coffee and a friendly chat, we can offer you the service you deserve. Karolina was quick and helpful with everything. I was very pleasantly surprised with her modern approach to clients and quick responses. Our experience with the agency in general was very good! But I have to say a special thank you to Sergio he is truly a professional! Always polite, always explaining what needs to happen and helping us with the needs of the house any time something broke or we had any complaints he was eager to help and never left us hanging! Thank you very much Sergio! Karolina was very helpful and was even available to answer my questions well outside normal working hours. She was very quick, responsive and informative. I would highly recommend this agency. They are quite straightforward, reliable, they will deal with property issues in a very acceptable timescale, when not immediately. Staff is polite and reliable. Miss Karolina was very helpful and she has helped us every time at every step of the way and answered to all our questions. She is very kindly, professional, and she has provided us all the informations very quickly. I recommand Kings Accommodation. All the staff provide quality, professional and great services! Good smooth process, friendly and professional, overall happy with service and would recommend using agent karolina, had a few hurdles to overcome but worked together to get through and achieve completion. 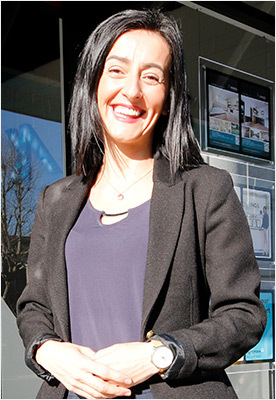 Matylda has demonstrated excellent professionalism and very approachable during our tenancy. 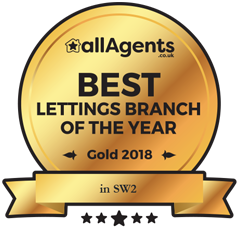 She has been very prompt with her communication, and has made our tenancy hassle-free from the introduction of the property to the end of our tenancy. Highly recommended.